Welcome to Bear-is Bueller’s Day Off in Gatlinburg! 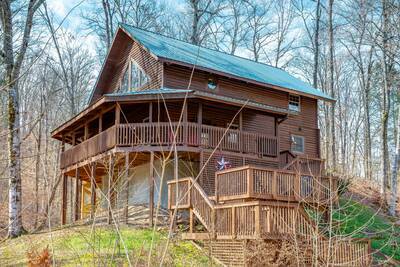 This 3 bedroom, 2.5 bath Smoky Mountain vacation rental is a remarkable place to enjoy a spectacular getaway! 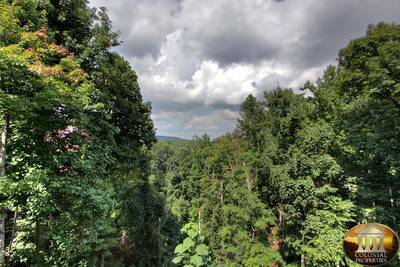 Conveniently located near Ober Gatlinburg, the Great Smoky Mountains National Park and downtown, you’ll love being close to all of the action of Gatlinburg, Tennessee with the feeling of being in the mountains. This beautiful A-Frame designed vacation rental is a stunning showplace with countless features and amenities. 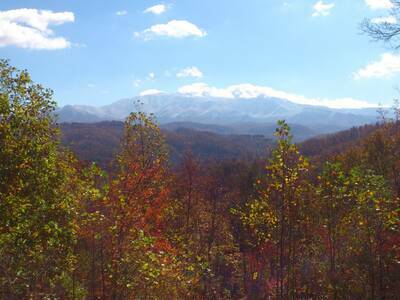 While staying at Bear-is Bueller’s Day Off, you’ll love the beautiful Smoky Mountain views. 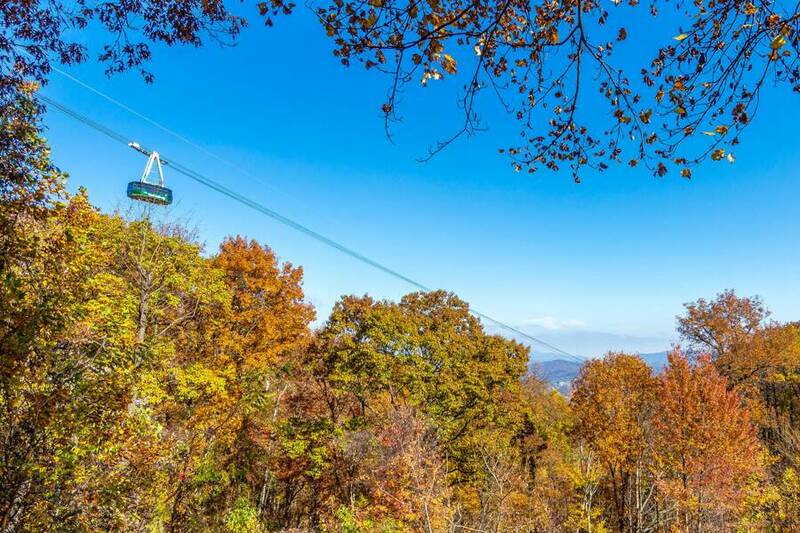 With the Smokies framed by beautiful hardwood trees, you can even watch the Ober Gatlinburg Tram pass by on its way up and down the mountain. The spectacular living room greets you with floor to ceiling windows, soaring cathedral ceiling, large sectional sofa, mountain stone accented wood burning fireplace, deck access, flat screen TV and a fun and exciting pool table. Located nearby, you’ll find the fully equipped kitchen complete with a wraparound tile countertop and all of the necessary appliances and utensils to prepare, cook, and serve your favorite meals while on vacation in Gatlinburg. 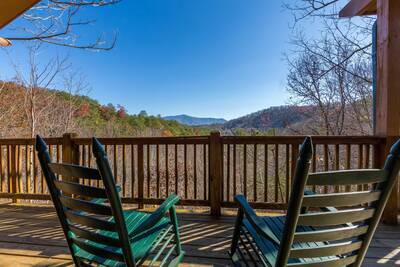 Adjacent to the kitchen, there is a formal dining area offering deck access and stunning views of the Smoky Mountains. On the main level of Bear-is Bueller’s Day Off, there is also a full bath for added privacy and convenience. Venture upstairs and you’re treated to a loft sitting area. Here is the perfect place to read a book, kick back and relax or play a board game with friends and family. 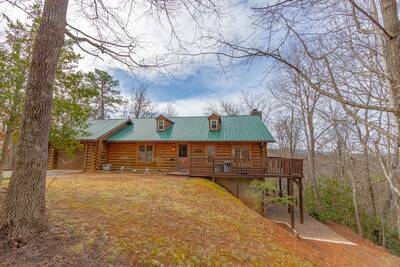 On the upper level, there is also a full sized bedroom with custom log bed, flat screen TV and a half bath. Step down to the lower level and you’ll find the spacious master suite. This magnificent bedroom boasts a custom made log king bed, sitting area, flat screen TV, ensuite full bath and access to the lower level covered deck. The lower level also features the third bedroom that is perfect for the little ones to enjoy. This bedroom offers an amazing custom log bunk set. 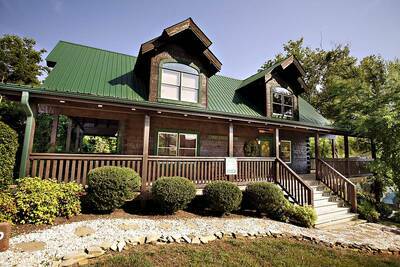 In the event that you need to do a little work or want to browse the internet while vacationing in the Smoky Mountains, this Gatlinburg vacation rental offers complimentary high speed WiFi internet. And in the warmer months, be sure to pack along your bathing suit and sunscreen so that you can enjoy the outdoor swimming pool located a short drive away. Outside at Bear-is Bueller’s Day OFF, you’ll find two levels of decking and a wonderful picnic area. The main level deck features outdoor seating, a bubbling outdoor hot tub with gorgeous views, and see-thru railing showcasing the Smokies. The lower level deck provides you with additional outdoor seating and even more amazing views. If you’re searching for the perfect place to enjoy a wonderful Gatlinburg, Tennessee vacation, plan your stay here today! A: Hi Olivia! This property is located in Chalet Village. It will take approximately 10-15 minutes to drive to the heart of downtown Gatlinburg. A: Hi Lisa! The pool is not within walking distance. A: Hi Aleisha! Bear-is Bueller's Day Off is not a pet friendly property. A: Yes, Bear-is Bueller's Day Off is equipped with both washer/dryer and a dishwasher. A: 1 King, 1 Full, 1 Full/Twin Bunk Bed, 1 Sleeper Sofa. A: Hi Diana! There is parking for 2-3 vehicles. “ We had such a great stay at this cabin. Is was perfect for our family of 5 (including three boys ages 4, 6, 8). They loved the full on full bunk beds and all stayed in the same room. We all enjoyed the amenities of home like the flat screen TVs with HDMI hook-ups and the full kitchen. The hot tub was a treat with beautiful views of the Smokies. The location couldn’t have been more perfect. We loved being up and away from the craziness of Gatlinburg but the proximity was so convenient. It really felt like we were going “home” after a busy night in town. We would definitely stay in this cabin again. I’m so glad we found it!! 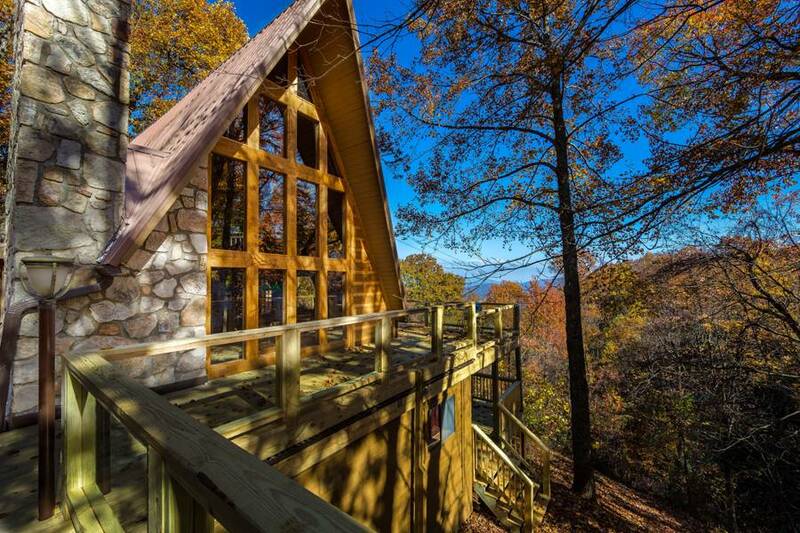 “ The cabin was absolutely stunning!! There was more than enough room for my family of 7! I love that the cabin is equipped with all kitchen supplies so you can enjoy a meal in while there. My kids were glad to have complimentary WiFi and the hot tub, and pool table were a delightful bonus!! We will definitely be coming back to this one!